Why Be a Driving Instructor? Whatever your background, becoming a driving instructor offers you a great opportunity to make a change for the better. You'll have the freedom to create a working life that suits you. A working life in which you control the direction and success. And you'll get satisfaction that comes from helping people learn a vital skill. What qualifications do you need to become an Driving Instructor? You'll need your driving licence. But you don’t need any previous experience or formal qualifications to start training to be a Driving Instructor. What's involved in Driving Instructor Training? Driving instructor training courses focus on helping you prepare for tests set by the Driving Standards Agency (DSA). Part 1 is a test of your knowledge; this is a more in-depth version of the theory test taken by learner drivers. Bear in mind that, as a driving instructor, your primary focus will be on safety. The best way to ensure the safety of yourself and your learners is to take the best training available. Most courses on the market include training for this part. So expect to spend a good deal of time doing your homework! Part 2 consists of practical driving sessions and is designed to bring your driving up to the standard required by the DSA. You will usually train with a driving instructor trainer on a 1-to-1 basis, or in paired tuition with a learning buddy. It is your trainer's job to help you prepare for your Part 2 exam: a 1-hour practical test of your driving ability. You'll need to show a high level of driving skill, anticipation and consideration of other road users. Most courses include Parts 1 and 2 as standard, with Part 3 as an optional extra. In Part 3 you'll need to demonstrate that you can teach others. In two half-hour sessions the examiner acts as a pupil in a role-play situation. After passing all three parts of the DSA/DVTA test, you'll be awarded a green badge indicating that you're a fully qualified instructor, known in the industry as an ADI (Approved Driving Instructor). There's more to becoming a driving instructor than just training pupils to pass their driving test. Many instructors continue their professional development by taking extra courses to become instructor trainers themselves - or even corporate training for company fleets. Choosing this career path gives you flexibility to work the hours that you want to, and the opportunity to earn a good weekly wage. Our driving instructor training course is the complete package and we make sure that all your needs are met with our friendly and helpful professional driving instructor trainers. If you are worried about finding the time to learn with our approved driving instructor trainers (ADI trainers) then don't worry! Our Driving Instructor Training course is made for people who have other commitments. Lessons are scheduled around you and are there for when you need them. 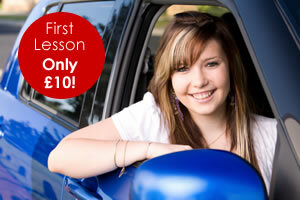 Our course is a great way to start your new career as a Driving Instructor.